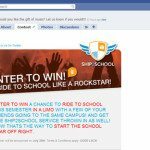 Ship2School saves the big day for everyone! With over 10 years of shipping logistics under our belt and 6 years in the college shipping and storage business, we are PHD move-in specialists. 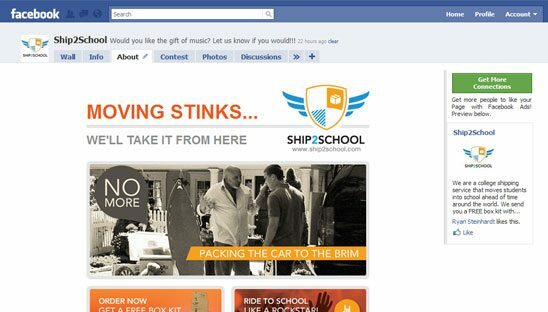 For this Facebook project, we designed 2 custom static FBML tabs. 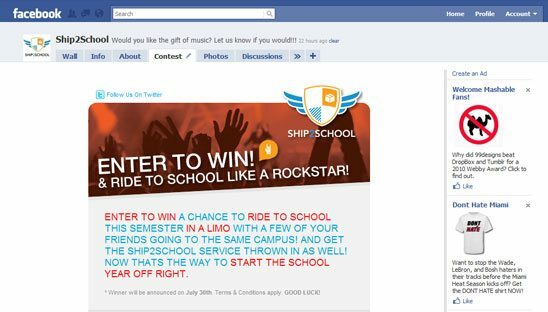 One is for the About tab and the other is for a Ride2School contest (see screen shot below) which has 3 steps including a sign up form and a Facebook share button.